U.S. Rep. Nancy Pelosi made history by becoming became House Speaker for a second time as the new Congress took office Thursday. 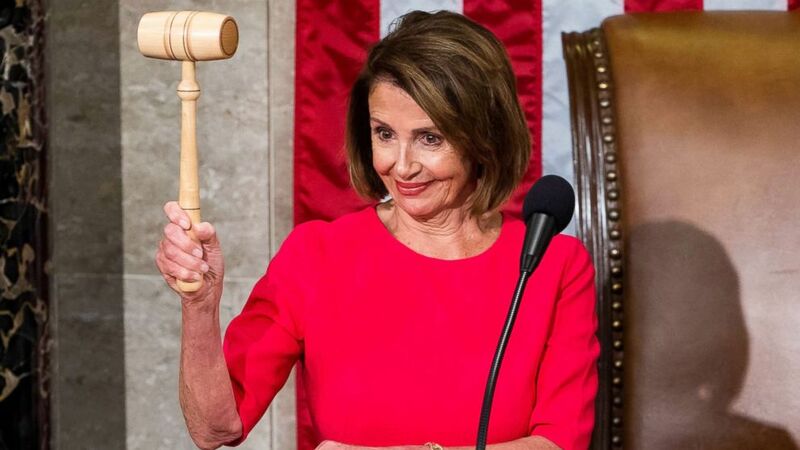 Pelosi, 78, became the nation’s first female House speaker when she took the gavel in 2007, and now becomes only the third person to serve in that capacity in non-consecutive terms. Nearly every Democrat voted for Pelosi except for a handful of newcomers who pledged in their campaigns not to support her as speaker. A record number of women, Hispanic and African-American members were sworn in, as well as firsts for Native Americans and Muslims. Pelosi has represented California’s 12th and 5th Congressional districts since 1987 was first elected to the Democratic National Committee representing California in 1976 before replacing Sala Burton in a district that covers most of San Francisco. She also steps into the speaker’s role with some immediate crises at hand, including the federal government shutdown and the looming investigation by special counsel Robert Mueller into President Donald Trump’s campaign and Russian collusion.